To be have the Best Wedding Photos in Chatsworth you have to start with photographers that can deliver. We have a variety wedding photos in our gallery. Many of them taken in Chatsworth. This specific image was taken during the reception of a wedding at Cohutta Springs Conference Center. The bride and groom were very easy to work with. So, when we noticed this bench by the lake, we asked them to have a seat and look at the water. There was a little posing with the arms and head tilt, but other than that this image and others in the set were natural. This image could have been taken at just about any wedding venue in Dalton or Chatsworth. Another beautiful wedding venue is Tennessee River Place. Our challenge for photographing this particular wedding was the mid-day sun. Chances are if you are looking at Best Wedding Photos in Chatsworth, you have seen our work. It is not that we have some magic to sprinkle on the images. It is more the result of getting to know the bride and groom and understanding just what they are looking for. Of course, shooting thousands of wedding images helps. If you have 30 seconds drop us a line via our contact form. We will get back to with answers to your questions, provide pricing or whatever you need. Our bottom line is service. 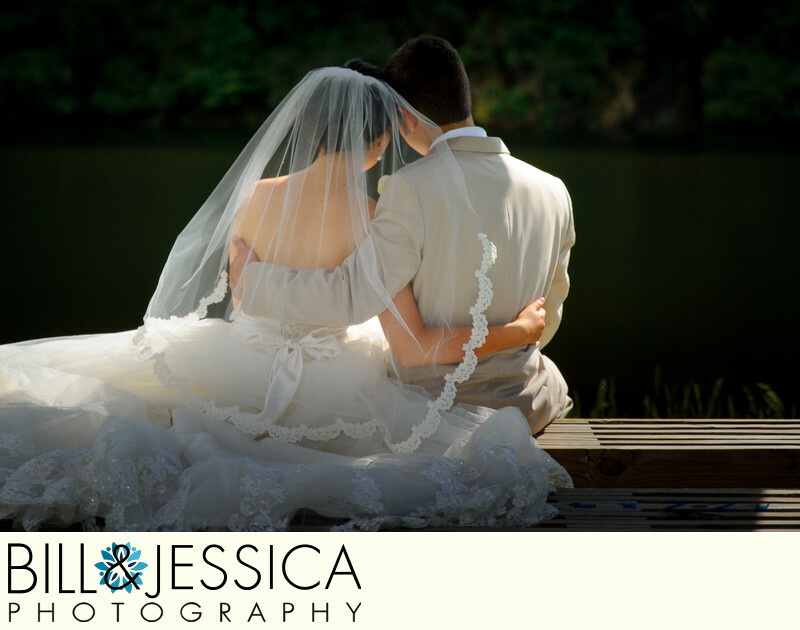 So in addition to spectacular wedding images, we go a step further and provide spectacular service. That is why people often say we have the best wedding photos in Chatsworth. Location: 1175 Cohutta Springs Rd, Crandall, GA 30711. 1/5000; f/2.8; ISO 200; 70.0 mm.